Headaches have become one of the most common physical nuisances brought by the busy modern life. Modern human is so much consumedin work that it often leads to inevitable frequent headaches. I know this fact from personal experience as this is a common phenomenon experiencedby a working person like myself. Thankfully, I have some homemade remedies in my notebook to take care of these nasty banes. Sometimes you can go throughsuch frequent headaches that you take up the situation as a potential symptom of migraine.I can’t blame you for this as it is an actual symptom of the fatal illness. Anyone can suffer from headaches. Worry not though, I will shortly tell you how to take care of them for good. 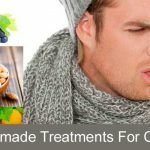 But before we move on to discuss the homemade headache remedial procedures, let’s discuss the various headache causing factors first. By avoiding these you can altogether avoid headaches in the first place. # Getting to bed late after your routine sleeping time can cause headaches. Sometimes you can suffer headaches when you haven’t slept enough. # Repeating a work over and over again can also cause headaches. Especially, when you’re not able to complete/finish it. # Dehydration can sometimes become a potential cause of frequent headaches. # Going out in the blazing sun can also cause headaches. # Thinking about something over and over again can also be a reason causing headaches. # You need to rest after completing your day’s work. You can take a short nap if you feel fatigued. # Prepare and drink some herbal tea boiled with Tulsi leaves. Not only it kills headaches but also relieves your body from all day’s stress. # Head massage can help you get rid of severe headaches. It’s suggested to get at least 3 head massages a week. # Apply some clove paste on your forehead and massage gently.You will soon feel a soothing effect in your head. # To avoid headaches, you can start your day with an apple. Apply some salt onto it. Do this in a routine to see effects. # If you drink too much tea then you might be having headaches because of this. The caffeine present in tea can cause headaches when consumed in large quantities. # Drink water throughout the day. It is good for digestion and helps to avoid headaches too. # Lemonade is an efficient home-made drink to treat headaches. It is also a refreshing natural drink. # Drinking hot milk can also make you feel better while having a headache. # Keep your feet warm to avoid headaches. # If you’re having headaches because of hot temperatures then you can massage your head with coconut oil. 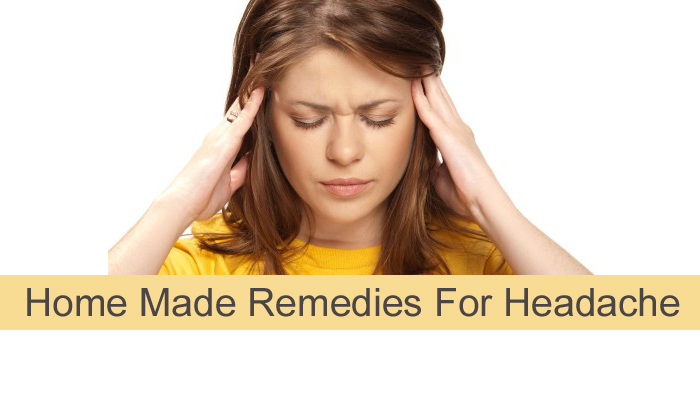 By using these simple home-made remedies you can easily get rid of frequent headaches. You can even avoid headaches with some of the tips mentioned above. We would love to hear your experience about following these homemade remedies for headaches. Have your own home-made remedies for getting rid of headaches?Share with our community via comments.